One of the most versatile, all-around performers for the Japan Basketball League’s Hamamatsu Higashimikawa Phoenix over the past few seasons has crossed boundaries and joined the Shiga Lakestars. The transfer of Wayne Arnold, the Tennessee State product who’d averaged 15 points per game for the runner-up Phoenix last season was made official last weekend. Arnold, aside from stead performance, is one of the league’s top three-point shooters, sinking 112 of 281 3-pointers a season ago. He’s ranked as one of the best perimeter shooters in league history. 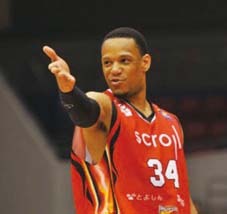 His move to Shiga puts him in the shoes of shooting guard Yu Okada, who moved to the Kyoto Hannaryz. 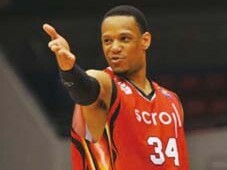 Arnold, a 193cm veteran, won the league’s Sixth Man Award in 2010-11.